Please note that it is not necessary to register or login in order to search the database. Please use the search facility at the top right of the page in order to search the catalogue. The Jacob Gitlin Library means different things to different people. For some it is simply a place to borrow interesting books, magazines, newspapers, DVDs and CDs – a little escapism, if you like, with a Jewish theme. For our scholars and students it is a valuable resource and research centre due to our archival material and reference books. You can find the entire collection on our online data base. For many non-Jews, it is an important centre in which to learn about the Jewish people, their history, aspirations and activities and as such, the Library plays an important public relations role in the wider community. The Library also has children’s story time on the first Sunday of every month to encourage young parents and their children to make use of our children’s section. This is a fun-filled & creative morning for children (ages 3 to 9). Click on LATEST DVD, and click on the BOOK to find out more about the book! 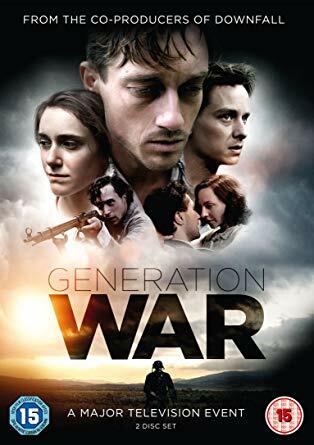 GENERATION WAR (MINI-SERIES) 3-part series portraying the lives of 5 young German friends forced to navigate the moral compromises of life in Nazi Germany during World War 2. (German with English subtitles) “Hardly any German TV drama has ever caused so much public debate.” Marvellous viewing..